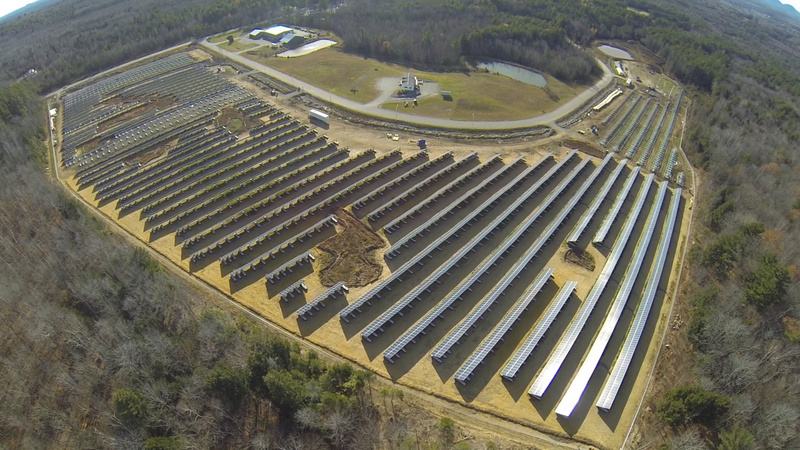 The Fairfield project is the largest planned solar array in Maine to receive DEP certification. NextEra Energy Resources won approval April 11 from the Maine Department of Environmental Protection to move forward with the Fairfield project and is awaiting approval for a similar project in Clinton, two towns just outside of Waterville. The two projects are expected to produce 20 megawatts of energy each, enough to power upwards of 3,000 homes, and are projected to cost $30 million each. The Madison Electric Works solar array of 26,000 panels spread over 20 acres was the largest solar array in the state when it went fully operational in October 2017. The Fairfield project is expected to occupy 240 acres along Route 201, while the Clinton project will occupy 150 acres between Holt Road and Channing Place, which is near the Sebasticook River. The Fairfield project has become the largest planned solar array in Maine to receive this DEP certification. NextEra – a Florida-based company that recently took over the assets of Ranger Solar out of southern Maine – is one of the largest generators of solar energy in the country and develops other forms of renewable energy. The company is the largest owner and operator of wind generating facilities in the country. It also owns the fossil fuel power plant on Cousins Island and gas-fired facilities. It also works with nuclear energy. Aaron Svedlow, project director for solar development, said the next step for the Fairfield project is to go before the municipality for approval, which he expects to go smoothly. After that, the plan is to proceed with construction, which is due to begin in 2019. The projects would each create about 85 construction jobs for the towns and require tens of thousands of panels. Once operational, the sites would create four full-time jobs. The Clinton project, sited on private property that already hosts a cellphone tower and doesn’t have much agricultural value any more, will be slightly more visible to residents than the Fairfield one. The energy from both projects will be sold to Connecticut. NextEra is also responsible for developing a large scale solar array in Farmington. The 75-megawatt solar facility will cost about $80 million. Bowdoin College and four Massachusetts colleges – Amherst, Hampshire, Smith and Williams – have signed on to purchase renewable energy credits to help fund the array. Bowdoin recently announced it had become the state’s latest carbon neutral campus, joining the ranks of College of the Atlantic in Bar Harbor and Colby College. Svedlow called the project a “great success story” since it already has a number of power purchasing agreements. NextEra has said the Farmington project won’t be highly visible to nearby residents. NextEra is also working to develop a facility in Moscow just north of Bingham.